This year, a brand-new stage show called “Hocus Pocus Villain Spelltacular!” has joined Mickey’s Not So Scary Halloween Party at Magic Kingdom Park. 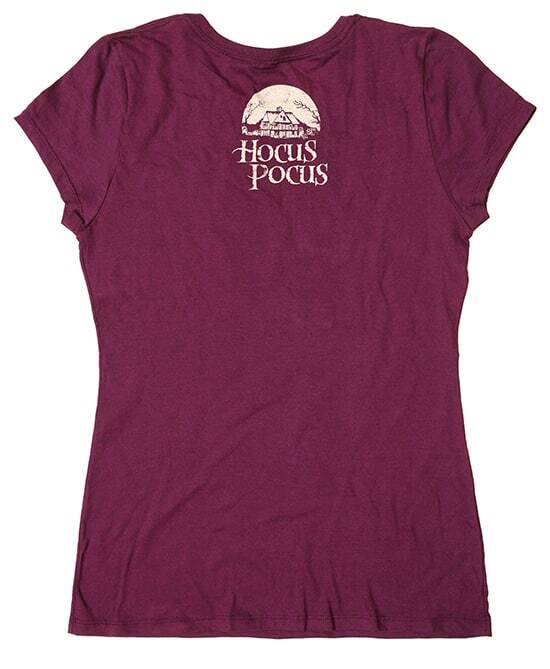 To celebrate, the Disney Parks online store will offer several limited release “Hocus Pocus” apparel items from September 21-27, 2015. 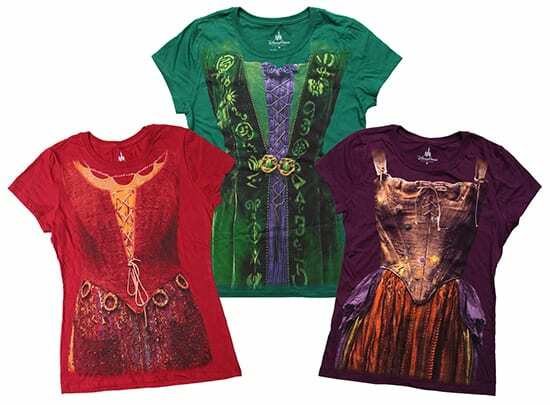 Disney Design Group artist Richard Terpstra (who is a super fan of the 1993 live-action film) designed three costume tees that resemble the Sanderson Sisters’ outfits. Each of the tees will have a “Hocus Pocus” logo on the back. 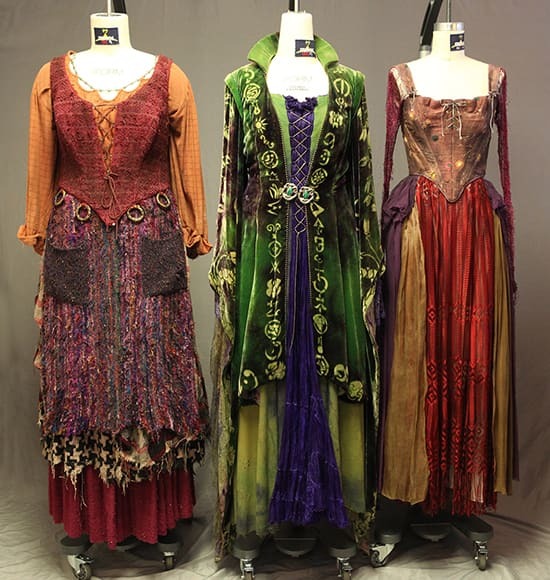 The coolest part about the costume tees is the images used are the actual dresses from the film. A few months ago, I photographed the costumes that were on loan from the Walt Disney Archives. Richard used those high-resolution images when designing these costume tees. It was a real treat to see these iconic costumes up close as I could see the little details found on each one. Richard also designed the “Sanderson Sisters Witch Museum” graphic that will be used on a short-sleeve tee, long-sleeve tee and hooded sweatshirt. You can order these items starting September 21 at http://www.DisneyStore.com/ParkEvents. Please allow 4-6 weeks for delivery. If you haven’t seen the film in awhile, you can see it during the 2015 13 NIGHTS OF HALLOWEEN celebration on ABC Family. The film will be shown on October 19, 20, 24, 25, 27, 29, 30 and 31. Check local listings for times. Will these costumes ever go up for sale again? My sister, mother and I have been looking for these costumes for Halloween for years! where are the rest of the comments? Can see only 39 of 52. I was very excited to get these shirts because I absolutely love this move, but the saddest part is that shipping took well over a month and then once they got here and I opened the shirt package the look of the shirt size was sad. It is much smaller than what I would have thought was an XL and once I put it on it was even worse. I am very sad that these shirts were so small and even sadder that I now have to return them because of the small fit. Received our shirts. Very disappointed, sizes run really small. We will be returning them. So I finally got my shirts. Very disappointed. The sizing of the costume tees was more like a junior size and the material felt rough. I had to return them. Such a shame! Verry dissapointed I just found out about these and I want one so bad. Wow, I just received this email today, a bit late, don’t you think. 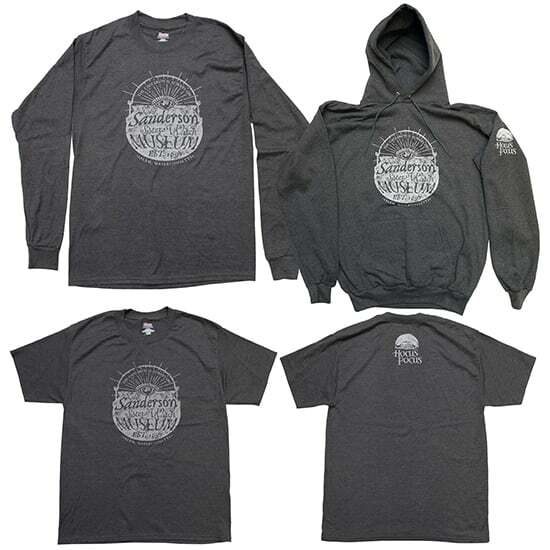 I did want the Sanderson Sisters Museum hooded sweat shirt, but found out much too late. Thanks For Printing The Museum Shirts On Beefy-T’s! You Guys Rock! do you know if these will be delivered by Halloween or not? I’m getting a “Page Not Found” when I try the link in the Blog for the Hocus Pocus Shirts. I see someone posted that they got onto the site and it states “the sale of these items has now finished”. Walt? Good Luck fellow collectors!!! Amuk, Amuk, AMUK!!!!!!!!!! Where are they? I’ve been trying for an hour. I don’t even see that they were there but are sold out! PLEASE tell us when they are available! will you keep us updated if they restock these? please! Are the shirts sold out online already? Or did we miss them being on sale? When you go to the site and click on the link it says we’ve already missed them. VERY UPSET!!! Stayed up till midnight last night and awoke early this morning to try and get one of these shirts for my Granddaughter. According to their representative they were only available until Sunday?? Can somebody tell me what went wrong here? 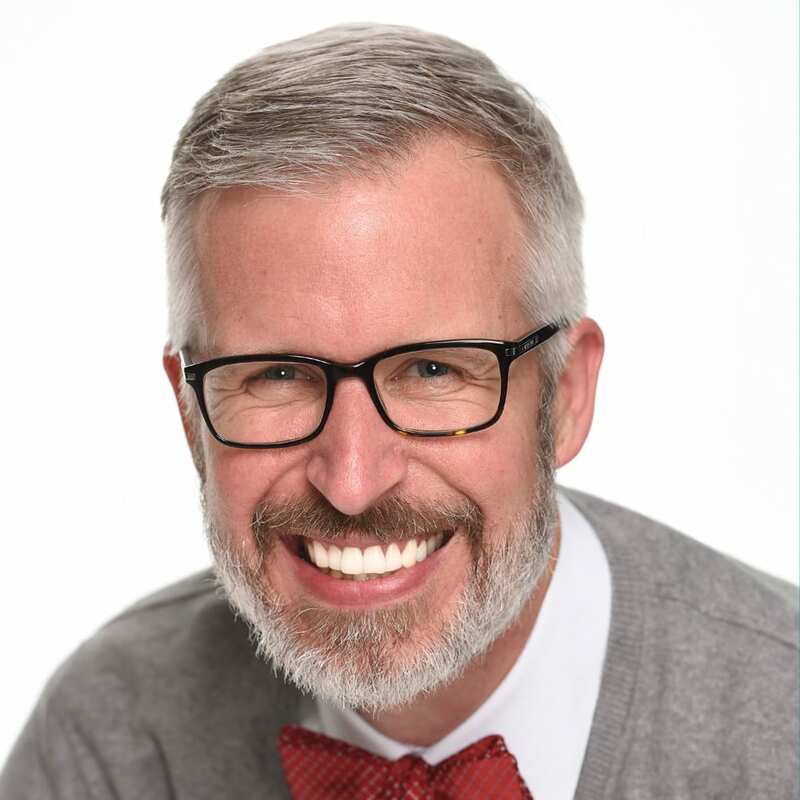 If you click on the link in the blog it leads you to a bad page. The webpage says that the sale of these items has now finished – but they only went on sale today?! The website is saying that these are no longer on sale – despite only going on sale today?! I went to order Hocus Pocus Shirts Tee Shirts this morning at 6:50am – and to my disappointment – they were already sold out!!!! These apparel items are not limited edition. They will be offered online only through September 27. Released yet or sold out? I can’t tell! I really need this for my Sanderson Sisters. is Disneyland also gonna have this show???? You guys are killing my bank account this year! It doesn’t help that I only live 7 miles from DLR and plan to but a lot of stuff this weekend at the park. Keep up the good work 🙂 Love these shirts! Maybe a sequel is in the works?? Are these going to be in plus sizes? I would love to have one, but they look like junior sizes in the photo. @Gloria – The sizes offered will range from small to 2-XL. What time will they go onsale on the 21st? Love these! We wore our Sanderson Sister costumes to MNSSHP last night to see the Hocus Pocus Spelltacular – Sarah and Winnie flew down from VA just for the occasion! We can’t wait to order these. What time can we expect the sale to go live on the 21st? Why the cap sleeves? Some girls like the normal mid arm length sleeves. @Alyxandria – Thank you for the feedback. So excited! I love that movie and will definitely have to get Winifred’s shirt. Is it possible to find out what sizes are going to be available? Curious to know if any of the apparel will be coming in plus sizes. Hey Steven, super excited about this! Will any of these items be on sale at Walt Disney World or are they only on sale on the Disney Store website? @Hannah – At this time, these items will only be offered online through September 27. Any idea what the sizes will be? @Jennifer – Sizes range from Small to 2-XL. If it takes 4-6 weeks to receive….guess I’m not going to wear one for Halloween….. Fantastic! 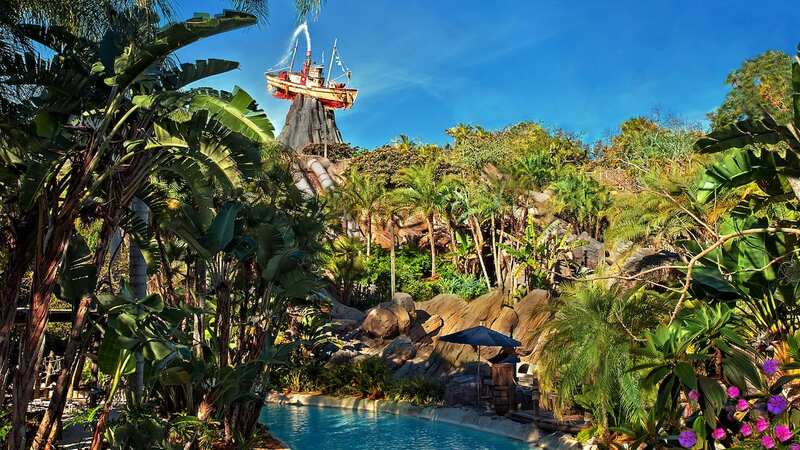 Will these be available in the parks?